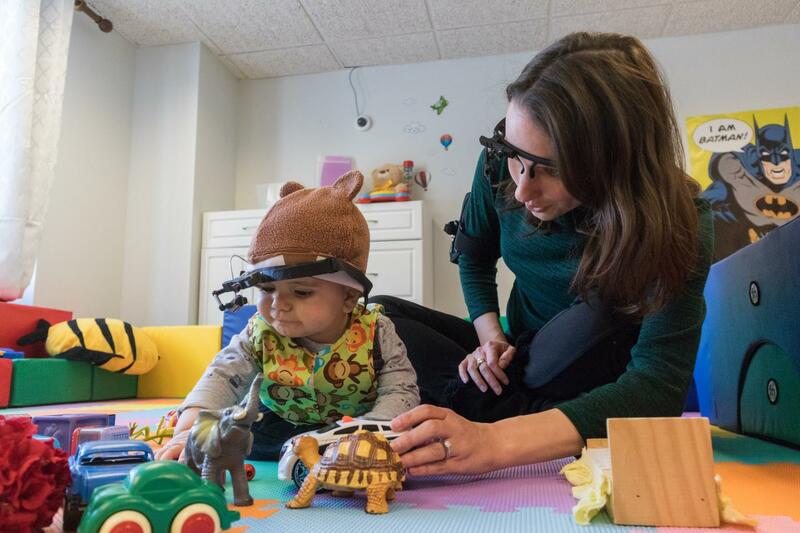 Instead of using artificial stimuli or pictures on a screen — common methods in many experiments on language learning — the research conducted under the new grant will take a "naturalistic approach" in which video vignettes recorded from head-mounted cameras tracking an infant's eye movement from their perspective will be played back and viewed by another group of young learners. This means that separate infants will individually view the same vignettes — collected in a naturalistic environment — after which their visual attention will be measured and analyzed. "Even if they're shown the same video vignette, different children will attend to different aspects of the scenes — and what they attend to is directly fed into their learning system," Yu said. "We know in the real world there are many different situations. We're taking data from the real world, but also controlling it in a scientifically systematic way to leverage the best of both worlds."